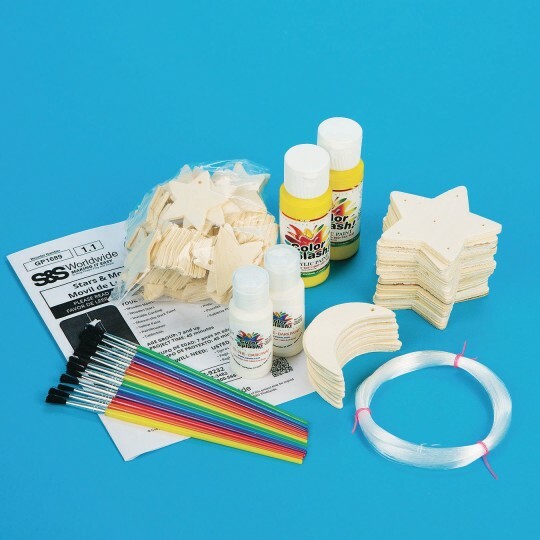 Decorate lustrous wood stars and moon. 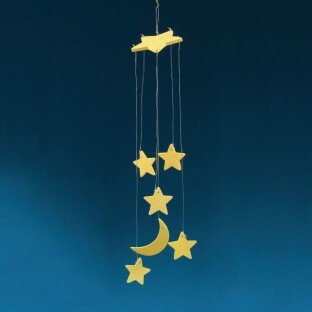 Mobiles are strung on glow-in-the-dark cording. Item went with our overall camp theme very well. Very difficult for 9-11 year olds to tie the line on the mobiles. Came out tangled and kids were frustrated. This craft provided hours of activity for my residents. They love feeling the sense of accomplishment when the complete a craftsuch as this one.